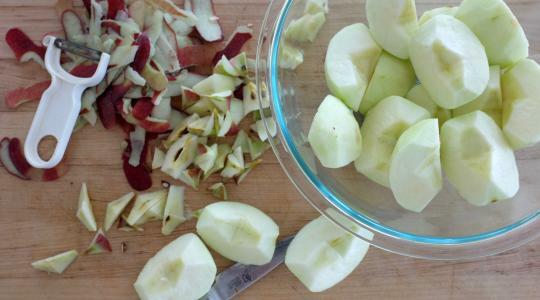 Peel the apples and cut into quarters. Use a paring knife to cut out the core and trim the corners. 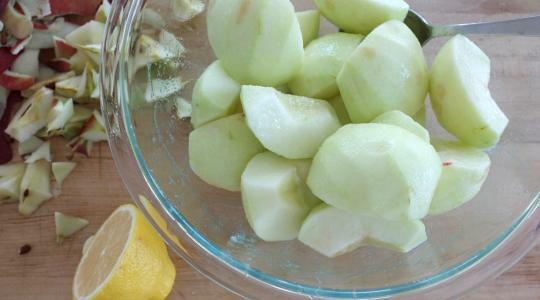 Put them into a medium bowl and toss with 2 tablespoons of the sugar and the lemon juice. 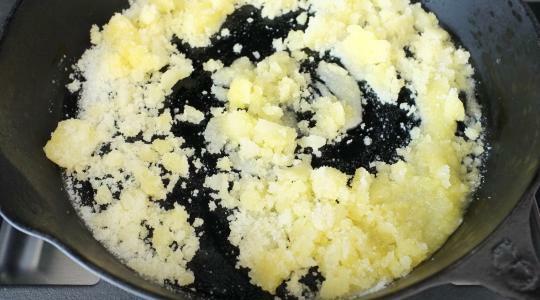 In a cast iron or regular skillet (preferably with straight sides), melt the butter over medium heat. Sprinkle in the remaining ¾ cup sugar and stir together (it will be crumbly). 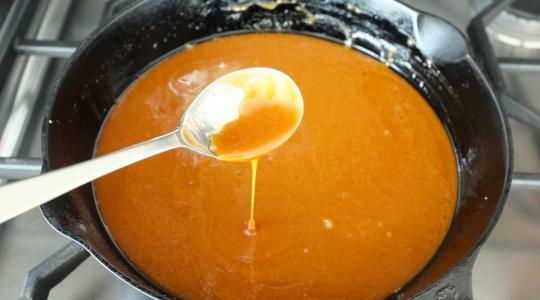 Cook for about 5 minutes, stirring occasionally, until amber in color and the sugar is completely dissolved. Do NOT touch the caramel – it is EXTREMELY hot. 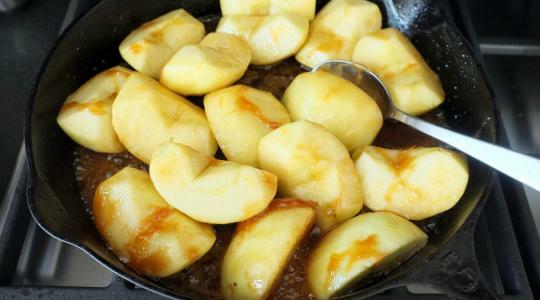 Add the apples and the liquid in the bottom of the bowl to the skillet. 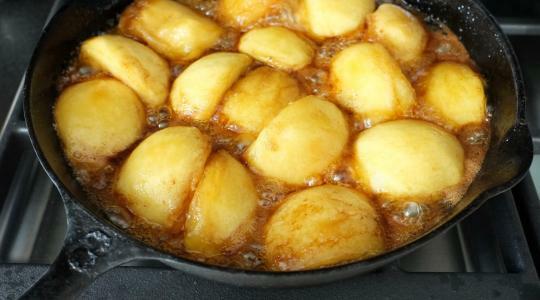 Let sit for 1 minute, then stir the apples for a few minutes - the caramel will seize up at first and seem like a failure but as it gets hot again, it will become liquid again- two spoons help for stirring. 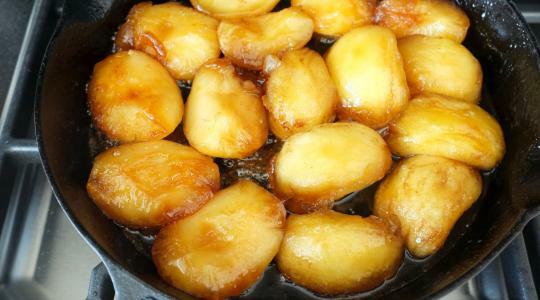 Simmer for about 20 minutes, turning and basting the apples occasionally, until the apples are tender and the caramel has thickened. Let cool for a few minutes. 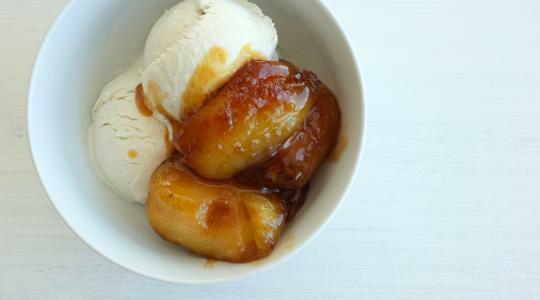 Serve the caramel apples over ice cream.